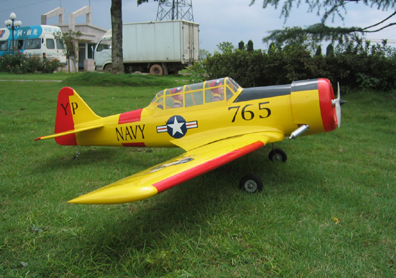 From 1937, when North American Aviation won a U.S. Army Air Corps contest to design a new trainer, the "Pilot Maker" AT-6, in continuous production for more than ten years, was used to train thousands of combat pilots in countries all over the world. The primary advanced trainer for the Army Air Corps and U.S. Navy (where it was designated the SNJ), the Texan has seen service in World War II, Korea, Vietnam, and numerous conflicts around the globe. More than 9,000 of the planes were built at North American's Dallas, Texas plant after 1941- the reason for the "Texan" name.